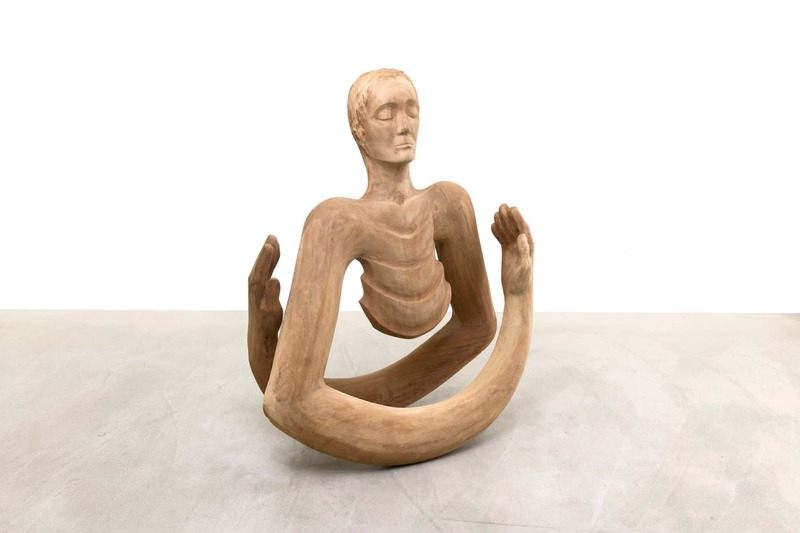 Tülay İçöz’s practice of sculpture is based on the ideas of the existence of the universe and human beings. Thus, her sculptures show the dynamism and incompleteness in the process of existence. On the one hand, the cycle of the universe and the effort to form and integrate and on the other, the waves of energy that connect us to other entities, also refer to the world’s continuous rotation. In her works, the rotation of the earth and all the waves/frequencies emitted over time try to spread their inner energies to all beings. These waves are being carved in the organic material; wood, which looks as if it explodes at the centre like an opening flower. Although the waves that are embodied on the wood as the metaphor of the physical energy, the shadow of the ‘spiritual’ one is infiltrated into the material wood, making the possibility of temporality and disappearance. Some of these sculptures are static, some of which are dynamic, carry both possibilities of existence and absence. Furthermore, these sculptures constantly move as concrete beings in which the waves of existence, sensual and spiritual energies have been made visible since the Big Bang.